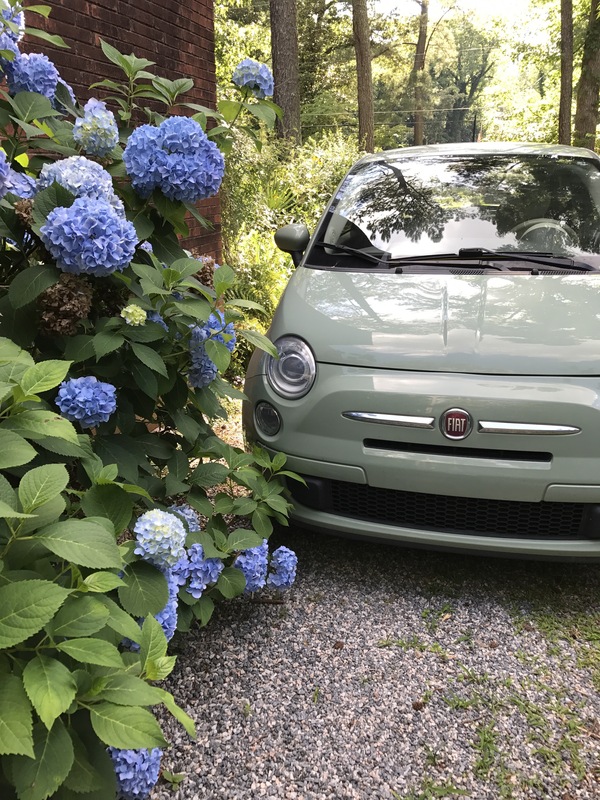 When your hydrangeas are larger than your car! 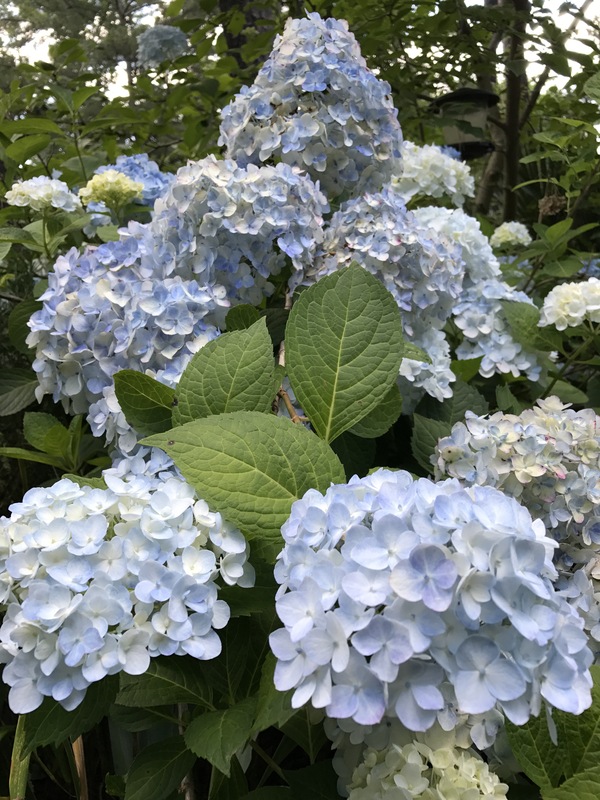 And hydrangeas color. | Arthur in the Garden. When your hydrangeas are larger than your car! And hydrangeas color. When your hydrangeas are larger than your car! Well, I do drive a Fiat 500! And both together in the border along the front of the house. 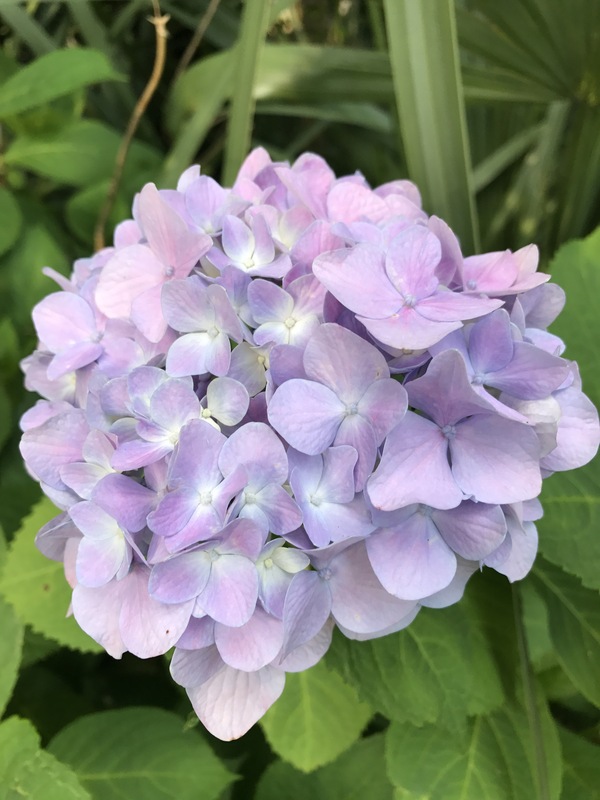 Most hydrangeas are influenced by the soil Ph as to the color of the flower: acid, or low Ph, soil will produce blue flowers and alkaline, or high Ph soils , will produce pink flowers. 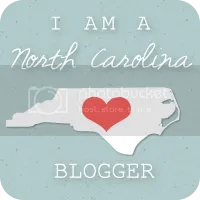 If the Ph is neutral the flower may be purple or a blend of pink and blue! 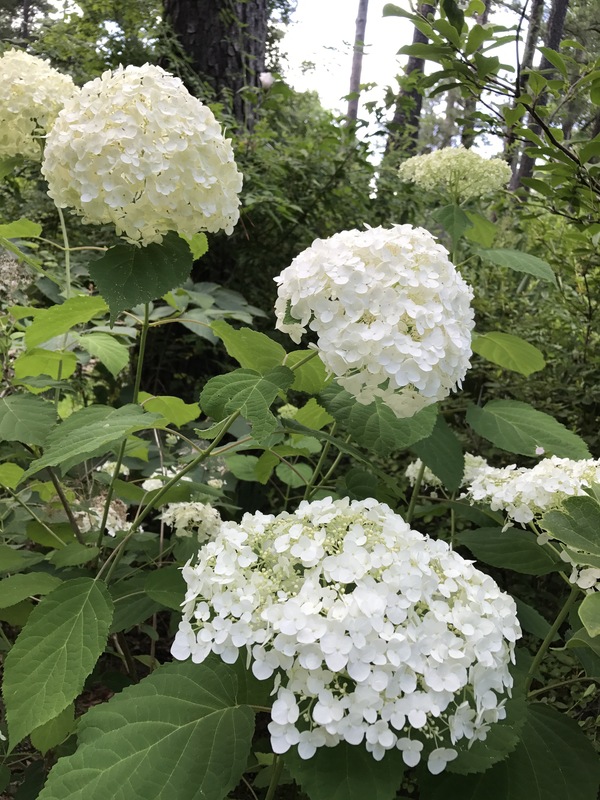 The exception is a white hydrangeas will always be white! 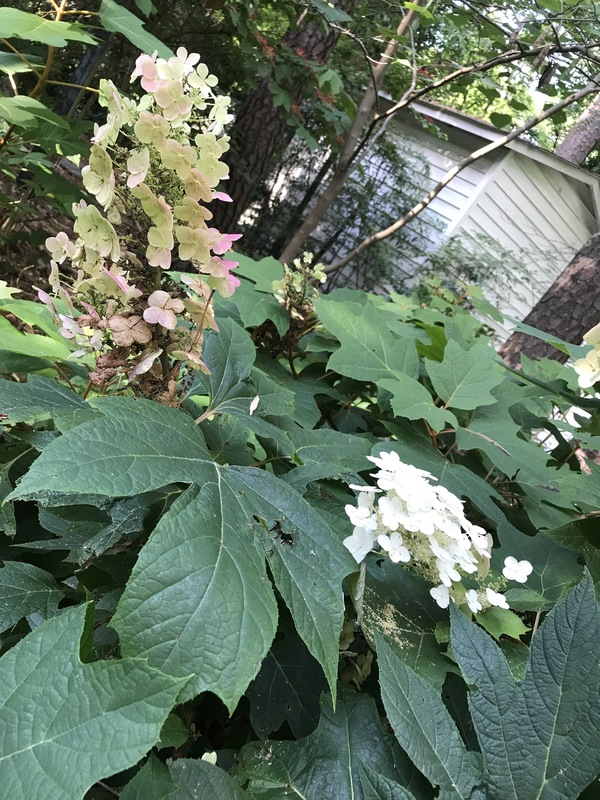 A native species is Hydrangea quercifolia, commonly known as oakleaf hydrangea or oak-leaved hydrangea, produce spike-like flowers which open white in the spring and fade to pink than brown by Summer. The plants are very large (6 feet) and wide (8 feet) but there are dwarfs and newer reddish flowered varieties. 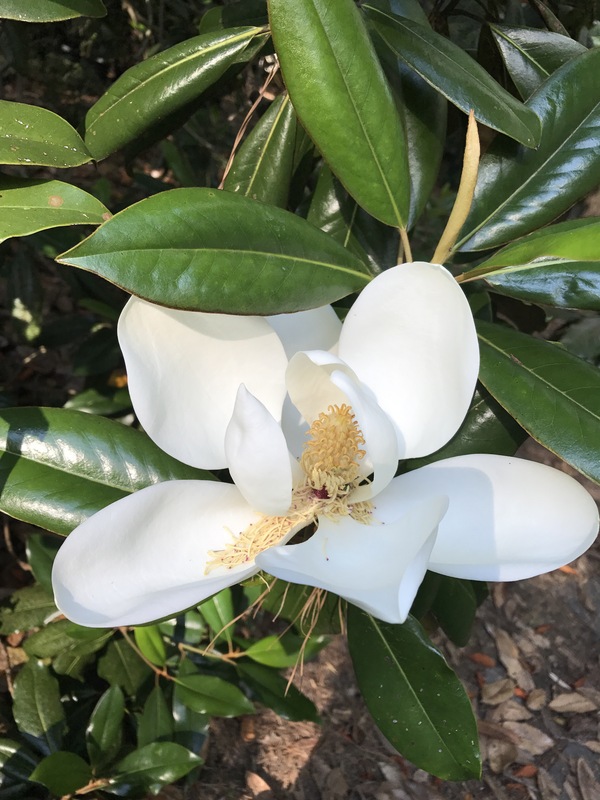 The Southern Magnolias are blooming with large, fragrant flowers. A Southern classic on large trees with bronze foliage. Oh my! They are spectacular. 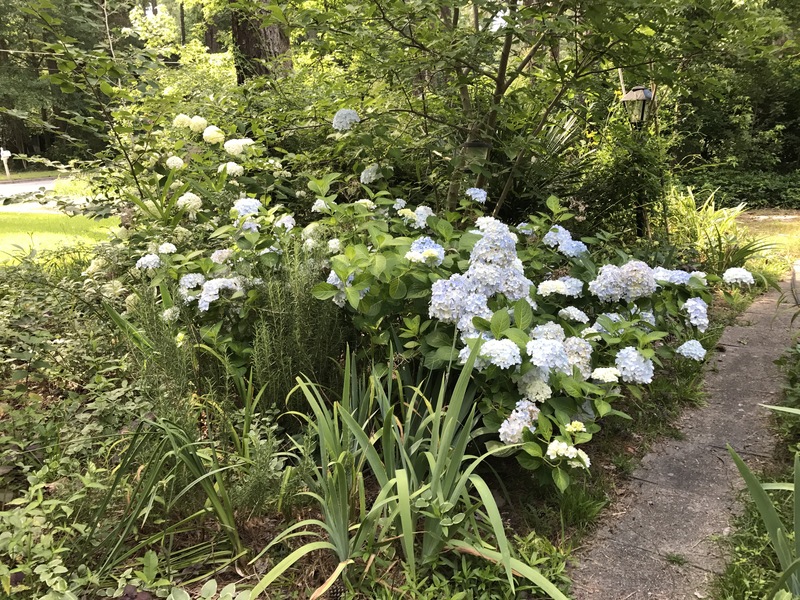 Beautiful and Hydrangeas have never made it in our yard. Just Splendid!